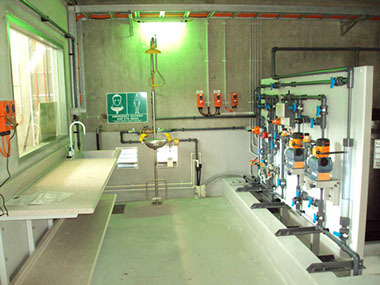 This project involved the construction of three fluoridation facilities at Wurdee Boluc WTP, Colac WTP and Moorabool WTP. To deliver the project CCB Envico partnered with Laurie Curran Water who had the role as the process designer and mechanical installation contractor. All design was carried out in accordance with the requirements of the Australian Drinking Water Guidelines (ADWG).